Deep Creek Lake, Maryland is the ideal summer vacation destination. With its warm and mild weather and diverse range of activities and attractions, Deep Creek Lake has something for everybody. If you’re planning a vacation to the area, use Lake Pointe Inn’s guide of things to do at Deep Creek Lake this summer. To get started with planning things to do at Deep Creek Lake, be sure to view our Things to Do page. The guide is full of our favorite local activities, attractions and dining spots. Lake Pointe Inn has many amenities that will make planning your trip simple. For instance our guests have complementary access to kayaks, canoes and bicycles to explore the lake and the surrounding areas. Also, during the summer months, our guests can enjoy a cruise aboard Lake Pointe Inn’s 28-foot pontoon boat, “Tight Squeeze”. This hour long evening cruise is a wonderful opportunity for guests to unwind and take in the beautiful scenery of Deep Creek Lake. The summer also sees some of Deep Creek Lake’s most popular events and festivals. Be sure to check out the following events during your visit this summer. Celebrate the Celtic culture at the McHenry Highland Festival. The festival features a full day of music, dance, crafts, herding displays and athletic competitions. When you visit the McHenry Highland Festival, you will see feats of athletic greatness at traditional Highland events including a Celtic Climbing wall. This is also a great opportunity to learn about different clans and their origins as they are represented at the festival. Live performances from dance troupes and traditional musicians include the Shanty Irish Band, Aurora Celtic, and Greg Latta. This year’s McHenry Highland Festival will be held on Saturday, June 7th, 2014 at the Garrett County Fairgrounds. A trip to the Garrett County Agricultural Fair is a favorite of our visitors’ things to do at Deep Creek Lake during the summer. 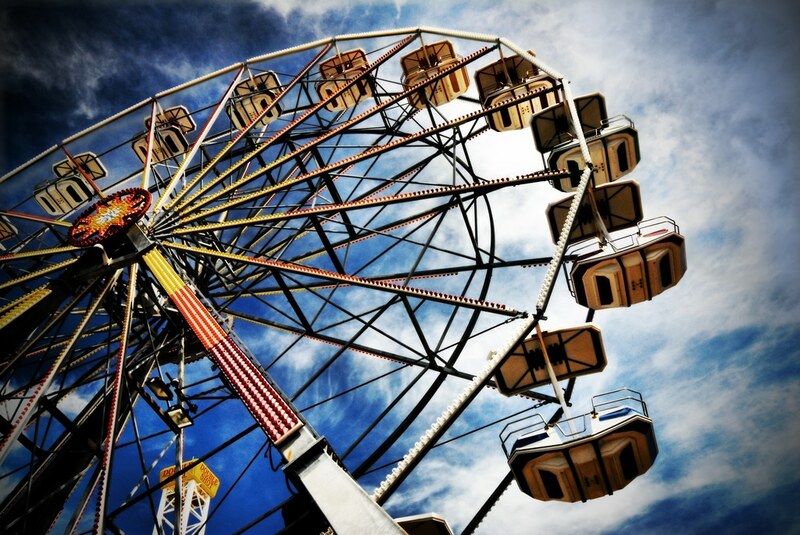 This year’s Garrett County Agricultural Fair will be held July 26th – August 2nd. The classic county fair will feature livestock sales and displays, Farm Queen Pageant, commercial exhibits, fair rides, great food and live entertainment. Musical acts at this year’s fair include Travis Minnick Band, Lindsay Erin, The Fabulous Hubcaps, Davisson Brothers, the Gospels Harmony Boys and others. Also be sure to check out the Track Events including the Horse Show, Garden & Antique Tractor Pulls, Mud Bog and Horse Pull. Celebrate Independence Day with the Fire on the Mountains Fireworks Display on the 4th of July. Fireworks will be launched from the top of Bear Claw Tubing Park at Wisp Resort. The fireworks burst over the lake, providing great viewing from several spots along the lake. Fire on the Mountain has become a great 4th of July tradition and one of visitors’ favorite things to do at Deep Creek Lake during he summer. When you’re planning out all the things to do at Deep Creek Lake this summer, don’t forget to book your room at our McHenry bed and breakfast. Lake Pointe Inn has luxurious rooms and suites that will give your trip that special touch. Your stay includes a delicious full breakfast each morning so you’ll be ready to take on what the day has in store for you. Lake Pointe Inn is the perfect place to get the most out of Deep Creek Lake this summer.